Our local celebrity, the Rose-coloured Starling, was still calling into the area of 33 Londesborough Road but again today it was going missing for long periods. 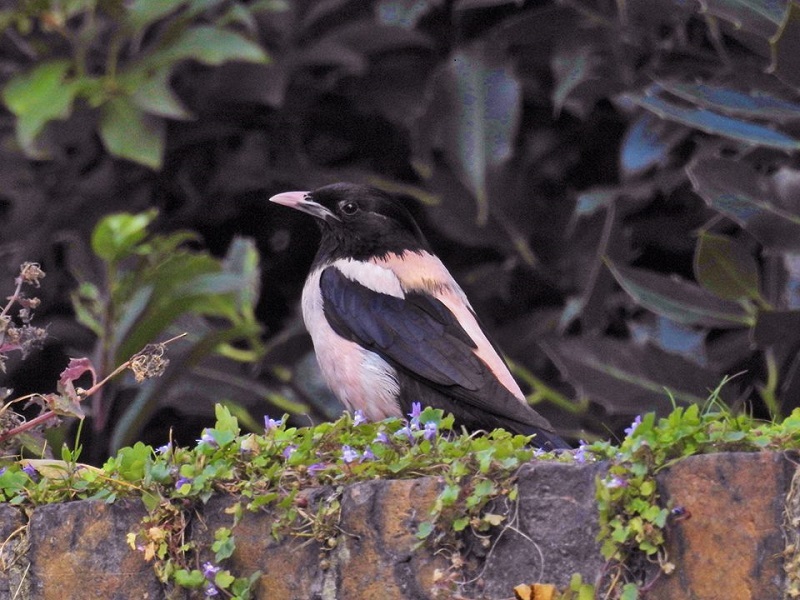 It has also been brought to our attention that this or another was photographed in an East Ayton garden on 3rd June. A couple of hours at Wykeham Raptor View Point yesterday afternoon produced a Hobby with House Martin as prey, a Peregrine, 5 Buzzards and 4 Goshawks with 63 House Martins moving southwest in several groups. 35+ Pied Wagtails coming out of roost by Pindar, Thornburgh Road at 05.30; a juvenile Yellow-legged Gull flew north past Crook Ness at 18.44 and at Long Nab this evening 3 Golden Plovers flew west, 11 Sandwich Terns (N), 9 Sand Martins (S) and 19 Swallows (S).